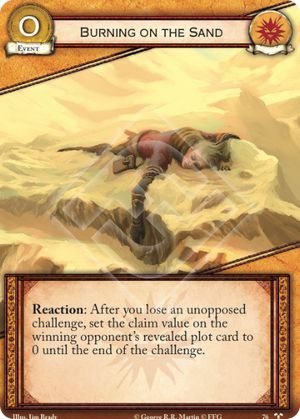 Reaction: After you lose an unopposed challenge, set the claim value on the winning opponent's revealed plot card to 0 until the end of the challenge. There Is My Claim #76. The "set" modifier overrides all other modifiers, so further effects (e.g. Tyrion Lannister (LoCR)) will not increase claim.